Our innovative and WondersMind for the travel, logistics and hospitality industry have helped our clients to keep up with the ever-rising expectations of their own customers. WondersMind has 10+ years of experience working with various leading clients in the industry. Our solutions make smart use of technology to resolve various complexities and challenges that are faced by travel, logistics and hospitality companies. Customized for your business, these solutions will bring simplicity and efficiency in business operations and help you deliver a superior experience to your customers. WondersMind with its technical expertise and domain experience in the Travel, Hospitality, and Logistics industry has experience in creating varied systems involving social media integration, data analytics, CRM integration, mobile platform porting and cloud adoption. WondersMind developed and deployed Speech Analytics Solution for our Hospitality client to support for assessing their inbound volumes to understand & improve parameters for sales conversion. Our solution was deployed for the client, where through sentiment analytics and historic customer behavior trend analytics, the agent has real-time visibility to best possible options/alternatives to convert a sale. Contact Center for Reservations & Booking, Fulfillment, Baggage Inquiries & Tracing, L1-L3 Technical support, GDS Helpdesk, B2B Support for Agencies, Revenue Management, Settlements, Travel Bpo & Reconciliations. Customer Lifecycle Management for managing Sales, Reservations, Customer Service, Loyalty Management & Complaints Management. Customer Interaction services from Enquires, Bookings, Confirmations, Schedule updating-uploading, Journey Planning, Loyalty programs, and Complaint management functions in a multi-cultural environment. 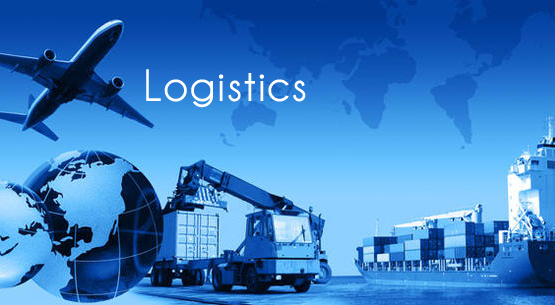 Enquiries, Shipment bookings, Tracking & Tracing services, Account Management, and Complaint Management services. Enquiries, Sales & Reservations Management, Loyalty Management, Concierge Services, and Complaint Management services. Adopt more customer-centric approach with our solutions for ordering food online, gaining useful customer insights and optimizing supply chain. We provide multiple solutions for individual, group and B2B bookings. Our cutting-edge applications have helped our clients achieve customer delight through effective lounge access management, in-flight entertainment, and retail services to name a few. Our responsive web portals, mobile apps, and payment processing systems help drive better efficiency in day-to-day functioning of organizations. We also help build strategic roadmaps for setting up loyalty programs and customer 360-degree solutions. We employ cutting-edge technology to help customers manage, control and optimize pricing, forecasting, and inventory. Our revenue management systems aim at simplifying the day to day operations of revenue managers and include steering ODI. Through MRO automation, we provide support and services for operational analytics, RFID and barcode-based material tracking. Our monitoring and management systems include mobile applications for MRO part-handlers that help in dynamic logistics routing.